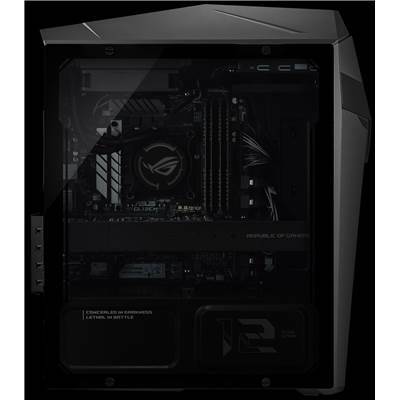 ROG STRIX GL12 is engineered to quench gamers’ never-ending thirst for extreme gaming horsepower paired with striking, unconventional design. 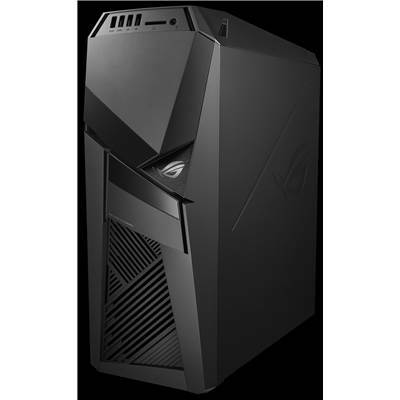 It is powered by up to a factory-overclocked 8th Generation Intel® Core™ i7-8700K processor (up to 4.8GHz full hexa-core), with NVIDIA® GeForce® GTX 1080 graphics for boundless gaming experiences. System upgrades are effortless thanks to its expansion bays and an esports-ready hot-swap SSD tray. A transparent side panel coupled with customizable Aura Sync technology light effects let you express your gaming persona, inside and out. 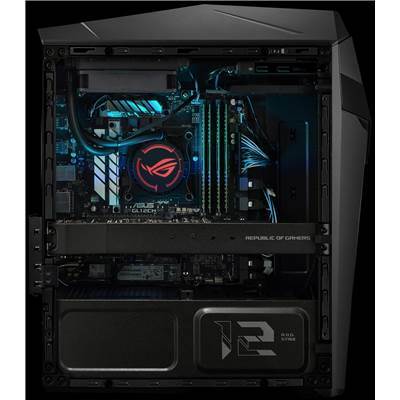 ROG STRIX GL12 draws inspiration from urban ninja and cyberpunk elements, cutting a modern, lethal, and powerful figure embodied with esports in mind. 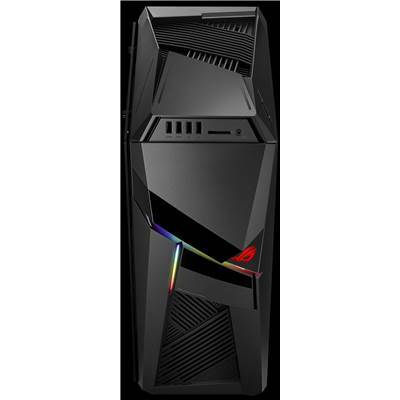 Sharp, chiseled edges and deep slashes across the façade reflect the scars of battle-hardened warrior; while the cyberpunk-inspired interwoven HyperStream design allows for optimal cooling during intense gaming marathons. 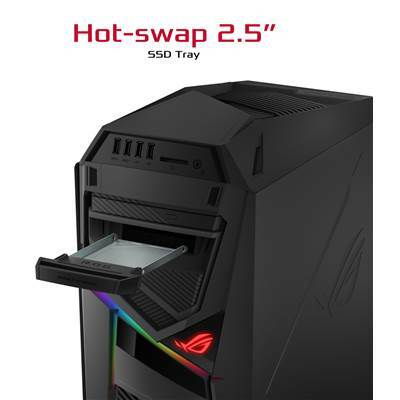 When not in battle, the ninja-mask-like magnetic cover can be removed to reveal the hot-swap SSD tray and optical drive, and placed back on when it’s time to get into the fight. In addition, a menacing Iron Gray and glossy black color scheme, Aura RGB LEDs, and a glowing ROG logo give ROG STRIX GL12 an unconventional look that’s unlike anything you’ve ever seen before. 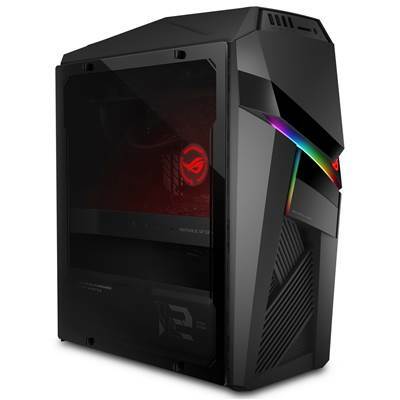 Select the look of your ROG STRIX GL12 with an Iron Gray or transparent side panel. 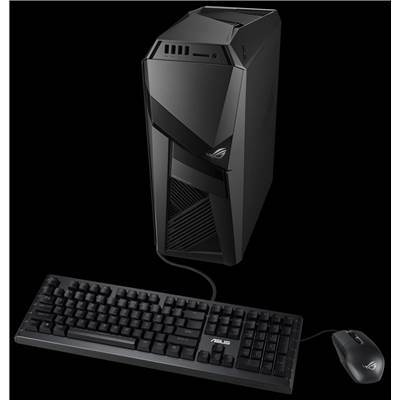 The latter allows you to showcase your latest advanced gaming components housed in the chassis. With this much power under the hood, why not show them off? 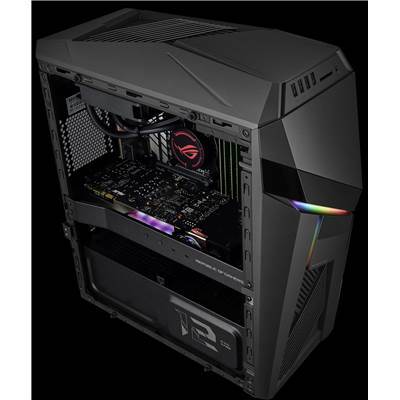 ROG engineers employ the strictest standards and handpick only the very best processors for ROG STRIX GL12. 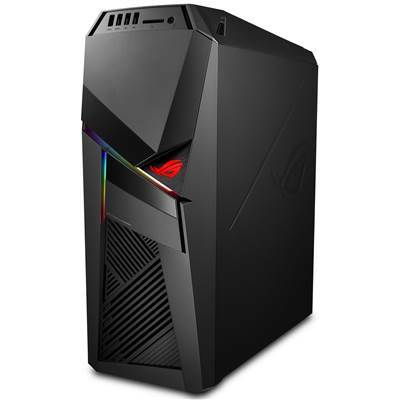 It features up to an 8th Generation Intel Core i7-8700K processor, which when combined with Turbo Gear, can be overclocked to speeds of up to 4.8GHz (full hexa-core) — up to 50% faster than previous generation processors. That’s even faster than Intel Turbo Boost, which overclocks to a maximum speed of 4.3GHz (hexa-core). Your gaming experiences will be smoother than ever before, so get ready to launch that next formidable strike! ROG STRIX GL12 is packed with up to the most advanced gaming graphics to date, with up to an NVIDIA GeForce GTX 1080 graphics card that delivers up to 3x the performance of previous-generation graphics cards for incredible gaming visuals and VR experiences*, without compromising energy-efficiency. Additionally, NVIDIA G-SYNC™ gets rid of lag, minimizes perceived stutter, and eliminates visual tearing — providing smooth and fast visuals, without affecting system performance! * VR Ready capability may vary by product specification. Please check with your supplier for detailed information. 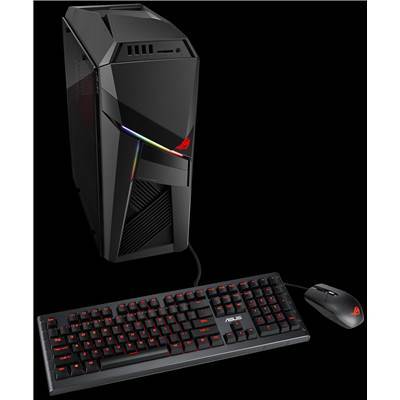 ROG STRIX GL12 is subjected to rigorous game testing with today’s most popular esports titles to ensure stutter-free visuals and stable gameplay — and the results speak for themselves. 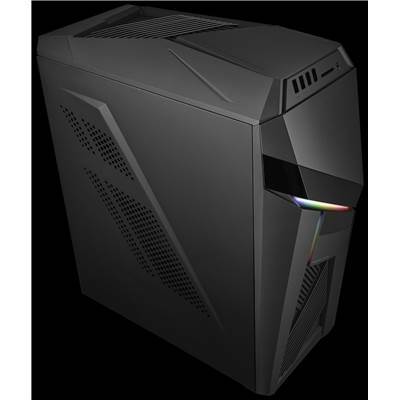 The GeForce GTX 1080-equipped ROG STRIX GL12 ran Overwatch® and PUBG at an average of 150 FPS and 101 FPS respectively (1080p Ultra). 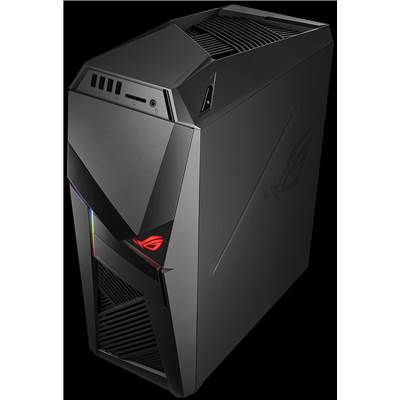 * ROG Strix GL12 with NVIDIA® GeForce® GTX 1080 graphics card, 8th Gen Intel® Core™ i7-8700K processor with 64GB DDR4 RAM. ** All bundled peripherals are subject to change without notice. Please check with your supplier for exact offers. NVIDIA’s new flagship GeForce<sup® GTX 1080 is the most advanced gaming GPU on the planet. Driven by the new NVIDIA Pascal™ architecture, the GeForce GTX 1080 delivers the amazing performance, innovative new gaming technologies, and immersive, next-gen VR. The flagship GeForce GTX 1080 is a quantum leap in performance and power efficiency. 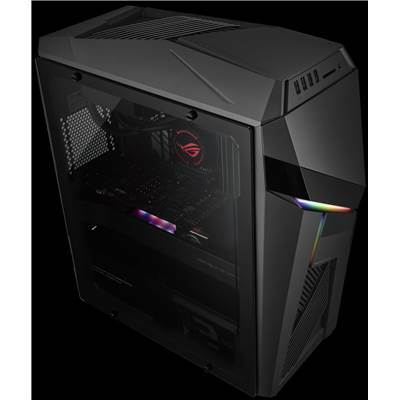 It’s built using ultra-fast FinFET and high-bandwidth GDDR5X technologies, and supports DirectX 12 features for the fastest, smoothest, most power-efficient gaming experiences. GeForce GTX 1080 uses the power of Pascal to meet the demands of the latest displays, including VR, ultra-high-resolution, and multiple monitors. 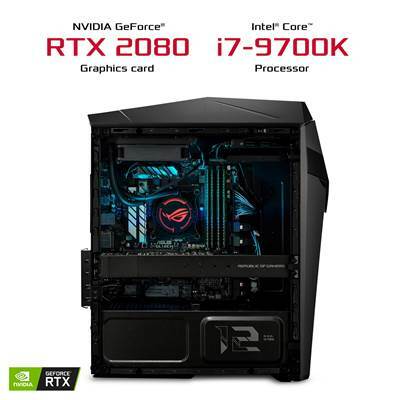 It features NVIDIA GameWorks™ technologies for smooth gameplay and cinematic experiences, as well as revolutionary 360-degree image capture—even in VR. 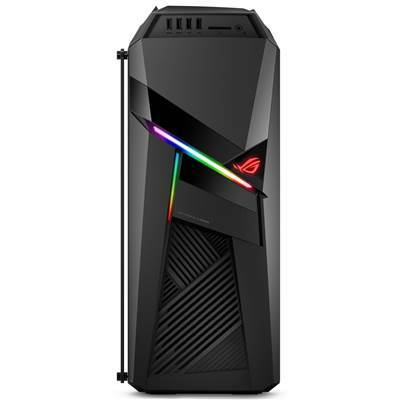 The slashes on the front façade of ROG STRIX GL12 can be customized with Aura Sync technology LED effects to reflect your gaming persona or the feel of the gaming you’re currently playing. 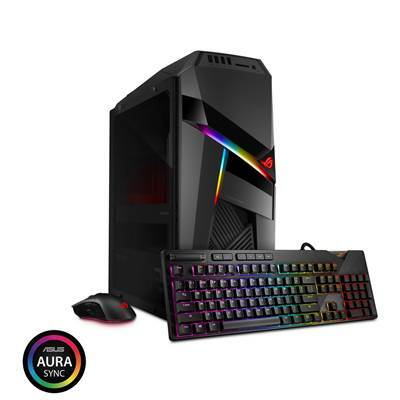 Pair it with Aura Sync-supported keyboards, mice, earphones and other peripherals to give your entire gaming rig a consistent look and feel with a choice of over 16 million colors and several distinct lighting effects. Inside, the water-cooling block even features a glowing red ROG logo, showing that this powerful, lethal machine is ready for battle. * All bundled peripherals are subject to change without notice. Please check with your supplier for exact offers. The speed and intensity at the highest levels of esports tournaments keep competitors and fans at the edge of their seats. Esports tournaments such as Rift Rivals, IEM Australia, and ROG Masters require gamers to save their customized settings in a hot-swap SSD prior to going up on stage. ROG STRIX GL12 features a hot-swap 2.5-inch SSD tray — esports is definitely in its DNA! * All images are illustrative, please check with your supplier for exact offers. Keep up with the arms race and your arsenal up to date with an upgrade-friendly design. 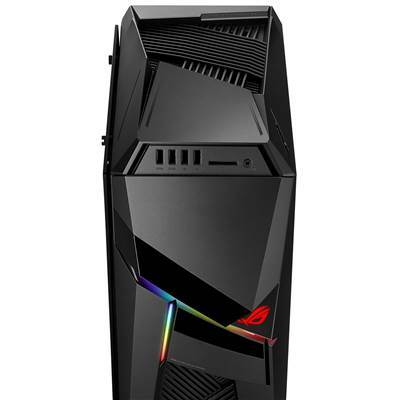 ROG STRIX GL12 has room for expansion, with a clever internal layout capable of housing up to two HDDs, one SSD, two exhaust fans, and easy cable routing to keep things neat and organized. When it comes to managing your entire game library, store them on multiple SSDs and access them in seconds with the hot-swap 2.5-inch SSD tray. ROG STRIX GL12 provides robust cooling for epic gaming marathons. Its intelligent cooling system features two dedicated isolated air chambers to improve heat dissipation. 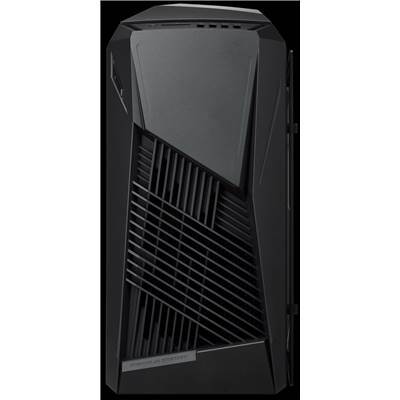 The interwoven HyperStream design allows for maximum heat removal and airflow into the chassis. In addition, the three fans on the top and bottom of the chassis ensure a constant airflow through the system to keep the power supply and storage cool in the heat of battle. 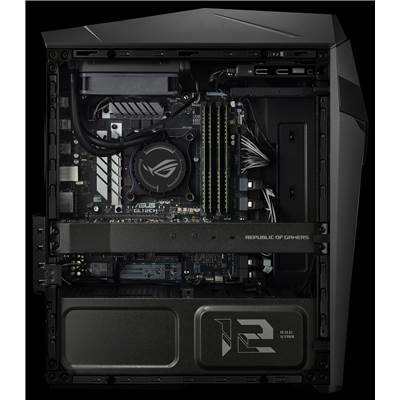 NVMe® PCI Express® technology provides ROG STRIX GL12 with superfast data-read and transfer speeds to reduce loading times for apps and games. The M.2 PCIe 3.0 x4 SSD is up to 6x faster than standard SATA 3 SSDs, and an amazing 24x faster than traditional SATA 3.0 hard drives. Spend less time waiting, and more time gaming! 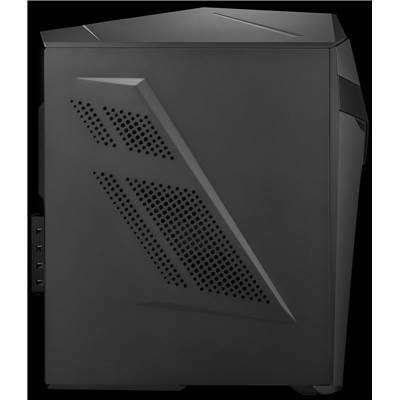 ROG-exclusive Aegis III is a system performance monitoring app that enhances gaming experiences by allowing you to track current fan speeds, CPU and memory usage, as well as download and upload status. A simple click lets you activate overclocking mode, with automatic warnings if the system exceeds temperature or voltage thresholds. In addition, you can record and edit gameplay videos to share your frags on social media. ROG Sonic Studio provides clear, immersive and high-fidelity sound to further draw you into the game. It is a perfect combination of optimized audio software and hardware, and features a host of improved functions in Record Studio tab including internet calls, audio streaming and recording quality. In addition, the Casting Enhancer in Sonic Studio stabilizes the overall volume of voice communications, and secures in-game audio by reducing noise. You even have the added convenience of saving Sonic Studio settings automatically on WebStorage. To ensure that you’re always game-ready, ROG STRIX GL12 offers extensive connectivity options so there’s more than enough ports for your gamepad, headphones, microphone and webcam. It includes two USB 3.1 Gen 2, six USB 3.1 Gen 1, and four USB 2.0 ports, with USB 3.1 Gen 2 providing blazingly-fast data transfer rates of up to 10Gbps.